Buford Betty: Countdown to the weekend! LOVE all your little finds! I was just stressing this afternoon about how I have not gotten one single thing for Christmas taken care of...yet! I love the monogram towels! Very cute - going shopping!! I think your neighbor family is taking a tad bit advantage of you b/c you don't have kids yet. They probably think you have NOTHING to do...yeah right!!! You were sweet to volunteer. I can't say I would have been as nice at 8:30 in the morning! 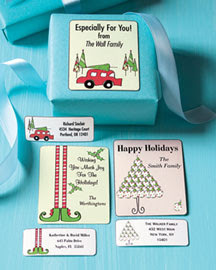 Love the Horchow items you got-I love their site too! 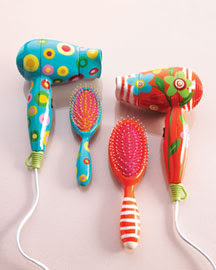 OH, sorry I got distracted by the super cute hairdryers. Anyway... that dog story is WHACKED. They should have never sent their 9 yr. old to do their bidding for them and on such short notice... CRAZY! You are way too kind! 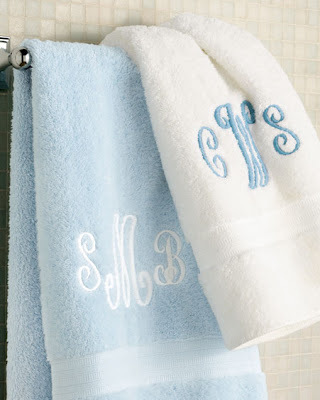 Love the towels with the beautiful monograms! 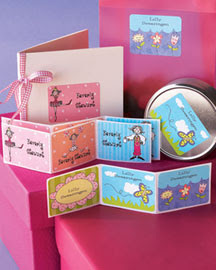 Great choice, and with soaps makes a lovely gift. Great deal too!! What great gift ideas - thanks! I took advantage of the Horchow sale and ordered some gifts. Wahoo! I don't have a dog but do have a 9 year old and I would have NEVER sent him to ask a dog sitting favor of a neighbor! I am forever surprised by what people are able to ask and not really think anything of it. I have neighbors who are guilty as charged. Their children will gravitate to our house because my hubby and I are usually outside playing with our children. 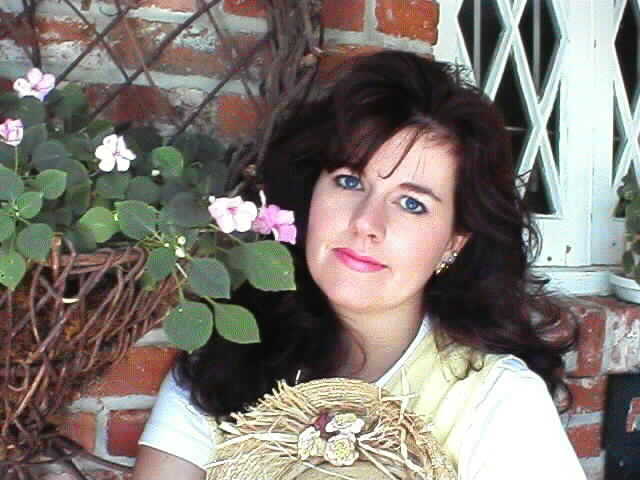 As soon as their kids are occupied they are out the door and driveway as fast as possible running "quick" errands. As we have learned, those errands sometimes involve the movies. Hubby is ruthless, he will send them home or stop the parents and ask where they are going. He will tell them we are going out or have plans. He is not one to take advantage and is better at making sure it doesn't happen to him than I am! I always hate to disappoint the children...it's not their fault!! !